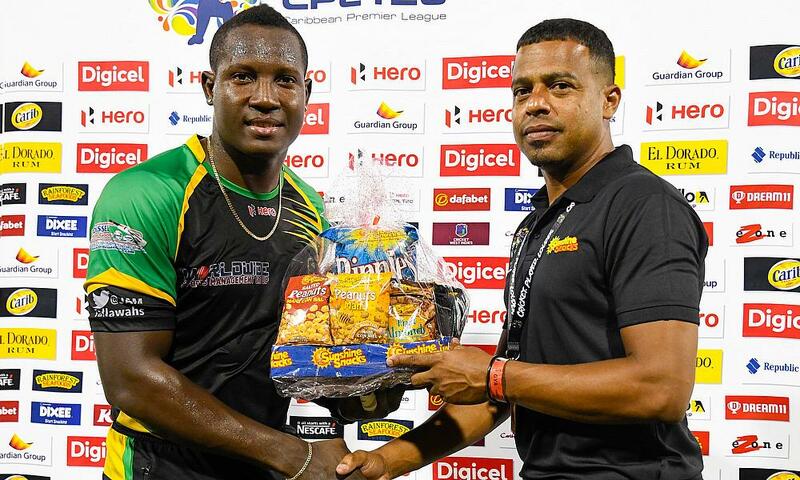 All-round star Rovman Powell contributed runs, wickets and catches as Jamaica Tallawahs kept their hopes of a top-two Hero Caribbean Premier League (CPL) finish alive with a convincing eight-wicket victory over rivals Guyana Amazon Warriors at Providence Stadium. 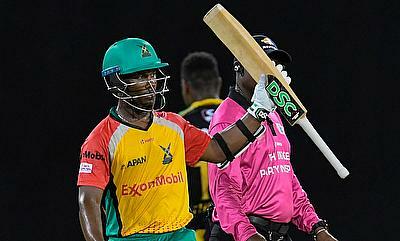 Powell held three catches – including a flying one-handed stunner right on the boundary edge to remove Cameron Delport – in Guyana’s innings, plus two wickets in a nerveless final over before making 55* from 34 in an unbeaten century stand with Ross Taylor (60* from 41) to make easy work of a tricky-looking run-chase. It’s a significant win. 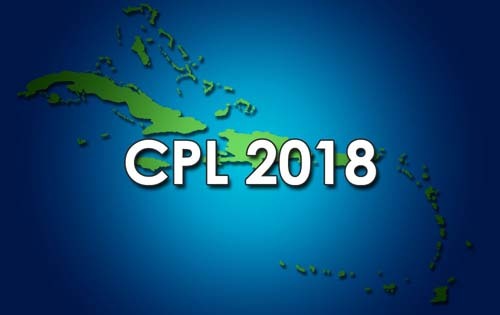 The Tallawahs and Warriors are competing for a Playoff 1 spot against Trinbago Knight Riders, and it’s Jamaica who now have the advantage after completing their group-stage programme with an impressive victory. The Warriors, though, do have another chance to secure the safety net of a top-two finish when they meet the Knight Riders in the final game of the round-robin on Sunday. The Tallawahs were always on track in their pursuit of a challenging 174 that set a new Hero CPL record for successful chases on this ground, with the boundaries coming frequently enough and the wickets infrequently enough to prevent any real pressure being allowed to build. Imran Tahir continued his good form as he removed both openers – both wickets accompanied by his trademark victory lap celebration – with googlies, first trapping Glenn Phillips leg-before and then knocking back Johnson Charles’ leg stump. Both had started well, with Phillips racing to 27 with two sixes that took him top of the Hero Maximum Race while Charles had also cleared the ropes twice. Powell and Taylor simply carried on the good work, though. Taylor was the initial aggressor and won the race to 50, but the key to their partnership was its level-headed consistency. The required rate was never allowed to climb with both men always able to find the boundary when it was needed. 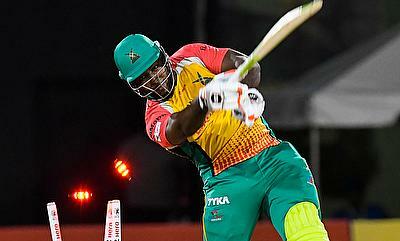 Taylor hit five fours and three sixes, while Powell added six fours and two sixes as new Warriors captain Chris Green shuffled his bowling options in an unsuccessful search for an option that could stem the flow. Fittingly, Powell was the man to hit the winning runs to end a superb all-round performance. The Warriors had earlier accelerated nicely through their innings to turn a halfway 72/2 into a meatier 173/6, Jason Mohammed leading the way with a high-class 54 from 33 featuring five fours and three sixes. It was an innings so well-crafted it was hard to believe this was Mohammed’s first 50 in T20 cricket after 16 attempts. Shimron Hetmyer started carefully against spin but soon found his range and looked about to unleash some real carnage when he holed out to deep mid-wicket for 48 from 41 to end a fine partnership with Mohammed that brought 61 runs and set the platform for late fireworks. Chadwick Walton finished things off with 25 from 16 before being run out by Tallawahs keeper Glenn Phillips in a final over that brought Powell the wickets of Mohammed and Roshon Primus. The Tallawahs had shrewdly decided that pace off the ball was the way to go, with nine of the first 10 overs sent down by spinners. Samuel Badree bowled his full allocation inside the first half of the innings to return tidy figures of 1/23 as the Warriors initially struggled to get going. The first wicket, though, came in the solitary over of pace in the first half of the innings as Luke Ronchi’s mishit drive off Oshane Thomas failed to clear Powell at mid-off. 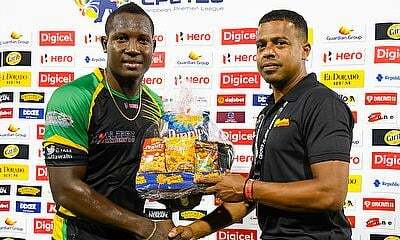 Powell then sent Delport packing, as an eye-catching innings of 34 from 23 ended thanks to a moment of real brilliance from the Tallawahs all-rounder. Delport appeared to have secured his second Hero Maximum of the night when he clubbed Badree down the ground, only for a flying Powell to pluck the ball out of the sky one-handed just inside the rope. That brought Hetmyer and Mohammed together to shape the innings with their third-wicket stand, but it wouldn’t be enough. 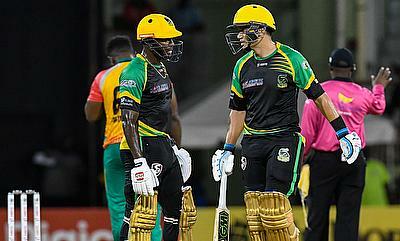 The Warriors must now beat the Knight Riders and overturn a net run-rate deficit to knock the Tallawahs out of the top two. Allen fires Patriots to thrilling two-wicket victory!